BINGHAMTON, N.Y. - Warm colors and hot styles will greet art lovers who brave Friday evenings bitter cold for the First Friday Art Walk in downtown Binghamton. 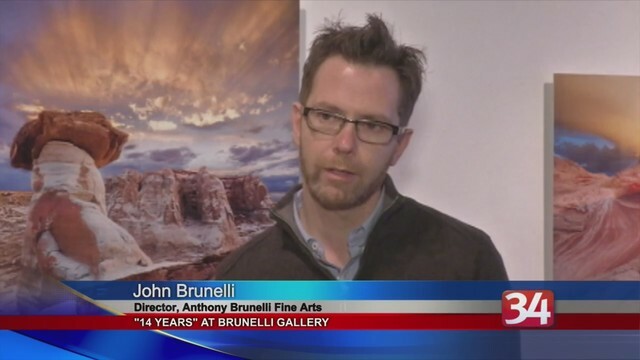 Anthony Brunelli Fine Arts is holding its annual anniversary show. "14 Years" features a variety of works by regional artists that have exhibited at the gallery in recent times. Director John Brunelli says the gallery opened with a focus on local artists and this show celebrates those roots.